While customers don’t always understand the quality of a shop’s joinery, they invariably rub a hand across the finish. And while some abrasives are used to shape and finesse parts, most are consumed during the creation of silky surfaces. Choosing a supplier for abrasives is no simple task. 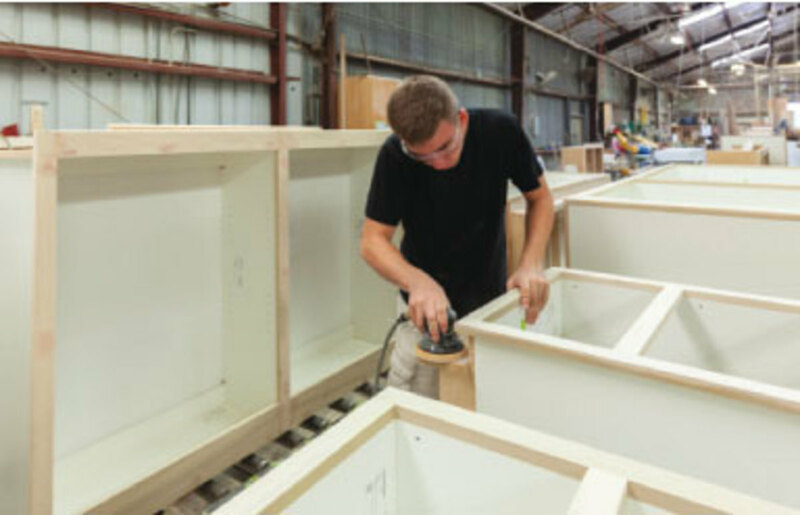 Various materials require different solutions, and sometimes a woodshop needs to source more than one warehouse. While the biggest choices used to be simply grit and size, now it’s all about coatings and backers. That can get confusing. Among the most common abrasive combinations, silicon carbide (SiC, also called carborundum) is used in either dry or wet/dry applications and can produce a very fine finish. It can be found in nature, but virtually all of the abrasive version is manufactured. Aluminum oxide (Al2O3, known in its crystalline form as corundum) is also a synthetic material, and both this and SiC are friable. That is, their edges break off during use, so they’re essentially self-sharpening. Aluminum oxide is a good general task abrasive. Garnet is still common in hand sanding tasks, but it’s a little soft and can clog easily. The current offerings in ceramics are very hard and sometimes quite expensive. As synthetics, they are more often found being used in rough industrial abrasion than between coatings on cabinets, but the future of ceramics looks quite interesting. Grits are simply logical gradations in coarseness. The larger the number, the finer the grit. They are spaced so that, used in sequence, each finer grit should erase scratches from the prior one. There’s some slight variance between European and American grit sizes, so woodshops ordering imported abrasives need to know the difference between ISO/FEPA in Europe and CAMI in the US. There’s another scale used in Japan (JIS), and for fine polishing there’s a separate scale that is measured in microns. There are several conversion charts online, including Dieter Schmid’s version at fine-tools.com. When abrasive particles have some space between them, the industry calls that an open coat. It means there’s more room for fine dust, so the abrasive doesn’t clog too quickly. But the tradeoff is that there are also fewer sharp edges because there’s less abrasive material. Open coat products usually have larger (coarser) grit particles, and they tend to work better on softwoods. 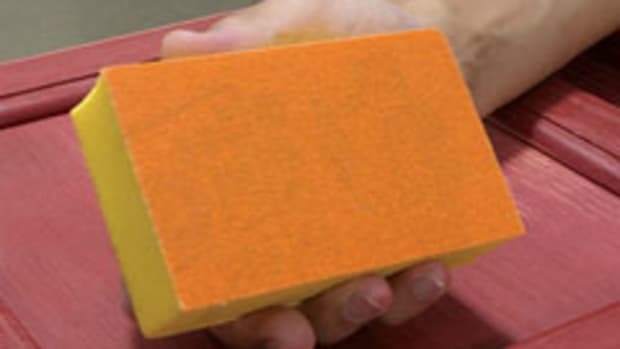 A very fine sandpaper wouldn’t be able to do much work if it had an open coat and there were only a few grains of abrasive per square inch. Grizzly Industrial (grizzly.com) carries more than 1,700 products under the title ‘abrasive’, including a huge array of wide and narrow sander belts, sandblasting media, diamond grinding wheels, sanding rolls, discs, triangles and sheets. Many of its product lines illustrate the complex nature of sanding nowadays. For example, Grizzly offers discs that are made from “fast-cutting white aluminum oxide”. These are stearated, which means that they have a dry, almost soap-like lubricant called sodium stearate mixed in with the abrasive. Its function is to reduce loading (clogging). Stearated coatings may interfere with the adhesion of water-based topcoats, so check with your supplier and do a little experimenting before committing to them. The Grizzly product also has a full phenolic resin bond system that is designed to improve grain adhesion. 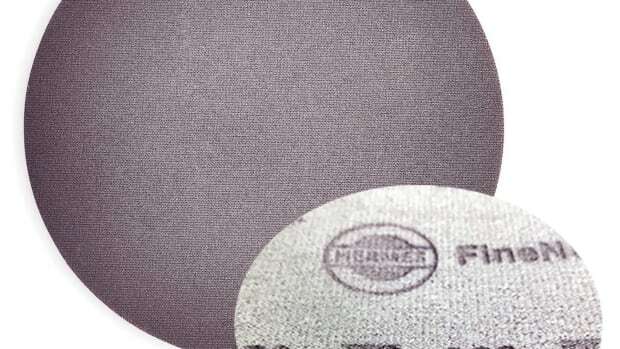 Mirka is a Finnish company that offers about two dozen choices in high-end abrasives. They include Abranet, which is familiar to most professional finishers, and the newly introduced Iridium. Mirka (mirka.com) has a strong presence in North America, operating from its U.S. headquarters in Twinsburg, Ohio. The Iridium product line has a mix of ceramic and aluminum oxide grains on a flexible paper, and a precision coating that prevents clogging and reduces pilling. That’s a term borrowed from the textile and garment industries, where it describes small, tight balls of fluff (pills) that appear on a surface. In woodworking, it’s often noticeable as tiny white balls of finish that accumulate under an orbital pad. 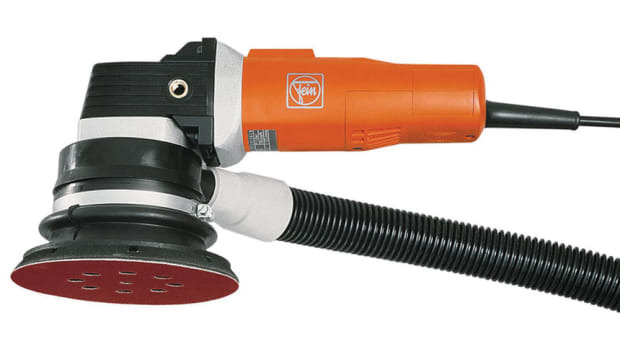 Mirka’s catalog also includes a wide selection of orbital and inline sanders, both pneumatic and electric. Festool (festoolusa.com) offers a large catalog of abrasives for its own products, including some that will work with other manufacturers’ tools. For pad sanders, some of the hole patterns are quite intricate so they can take advantage of dust collection technology built into the company’s electric sanders. Uneeda Enterprizes (sandpaper.com) in Spring Valley, N.Y., is a manufacturer and supplier of coated abrasives for sanding, grinding, and finishing applications. Its catalog includes wide and narrow belts, discs, sheets and sponges. A recent innovation from Minnesota-based 3M (3m.com) is Precision Shaped Grain technology, which cuts at up to twice the speed of conventional abrasives, lasts four times as long, and has superior dust extraction, according to the company. 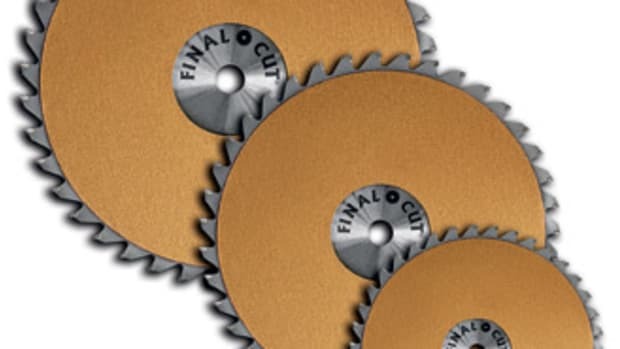 At Shopsmith (shopsmithabrasives.com), a woodworker will find several specialty items including 40- and 60-grit ceramic flap discs for angle grinders that are designed for rapid stock removal. The company also makes a complete line of 5” diameter, eight-hole, aluminum oxide discs in grits from 40 to 320 that have an anti-clog coating and a film backing. Based in Bethesda, Md., the abrasives manufacturer 2Sand.com (2sand.com) offers a wide range of sanding discs, sanding belts, sandpaper sheets, specialty products and sanding accessories. 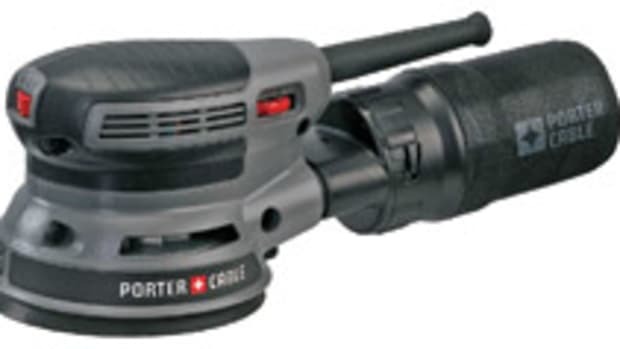 Bosch Power Tools (boschtools.com) offers a comprehensive range of abrasive products for its power tools, including shaped sheets for detail sanders and a wide array of discs and belts. 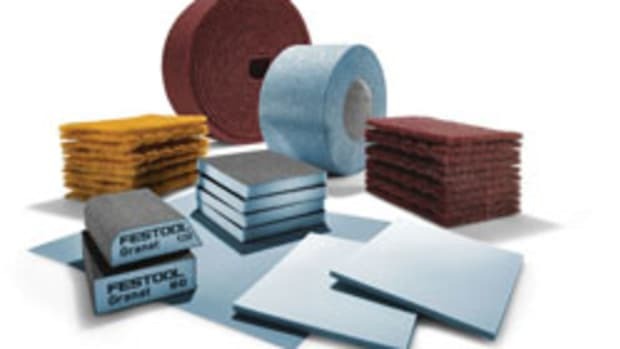 Global Abrasive Products (globalabrasiveproducts.com) has offices in Alpharetta, Ga., and Lockport, N.Y. Its catalog includes coated, non-woven and bonded abrasives. Klingspor’s Woodworking Shop (woodworkingshop.com) has four retail locations in North Carolina. The parent company (klingspor.com) originated in Germany more than a century ago, and still makes and distributes abrasives worldwide. Included are belts, discs, rolls, sheets, flap wheels, bonded wheels and other specialty abrasives. Red Hill Corp. is located in Gettysburg, Pa., and its Supergrit division (supergrit.com) supplies coated abrasive belts, discs, flap wheels, foam sponges, rolls, sheets and other products. Woodworkers’ Supply has a sanding supplies division called A&H Abrasives (customsandingbelts.com). 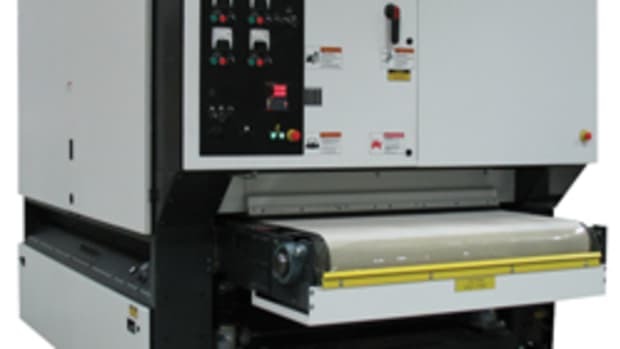 It offers sleeves, wraps, rolls, belts, discs, sheets and specialty sanding solutions. Abrasive Resource in Anoka, Minn., (abrasiveresource.com) supplies factory direct German sanding belts and discs. Also available through the AR catalog are non-woven abrasives that are made from a synthetic non-woven mesh that is impregnated with abrasive grain. It’s used for blending, polishing and decorative finishes. As a brand of Saint-Gobain, Norton Abrasives (nortonabrasives.com) in Worcester, Mass., offers discs, belts, sheets, rolls and pads. Norton also supplies a vast range of other abrasive products beyond sandpaper, including grinding wheels, diamond and carbide abrasive products, plus brushes and polishing supplies. The company has developed Cyclonic abrasive discs and rolls that feature a multi-hole vacuum system, and ceramic aluminum oxide abrasives. Not all abrasives are belts or pads. For example, Biesse America (biesse.com/na) has an optional brushing unit for several of its calibrating/wide belt sanding machines (such as the S211) that offers a shop the opportunity to highlight the wood grain of processed panels. And SuperMax Tools (supermaxtools.com, now part of Laguna Tools) has a complete line of small shop sanders that also includes several brush texturing options. 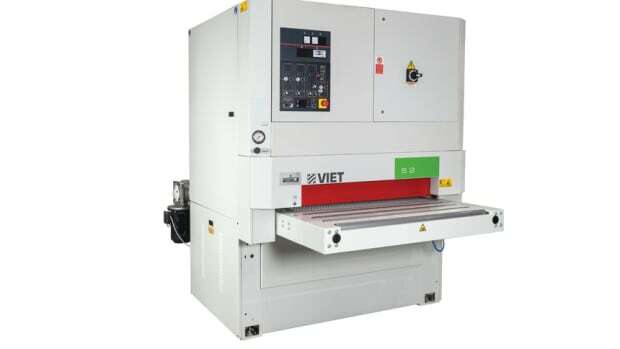 Among the jobs these machines can do are scuff sanding, primer and base coat sanding, straight-lining, graining, decorative finishing, deburring, radius edges, polishing, buffing, cleaning and even oxidation removal. The company also supplies a variety of abrasive wraps for its own brand and other manufacturers’ drum sanders, both in aluminum oxide and some Zirconium options. Illinois-based Opti-Sand (opti-sand.com) carries a variety of specialty sanders and purposed abrasives. 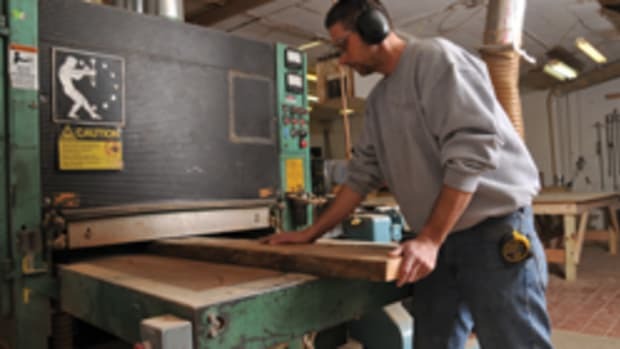 And woodturners can find a wide array of specialized sanding solutions from Penn State Industries (pennstateind.com). SurfPrep (surfprepsanding.com) has an online catalog and offers a variety of backing pads for discs. The company also supplies a wide range of abrasives, including wide paper belts and also open-coat aluminum oxide discs and sheets with a sacrificial stearate coating to minimize loading. The discs’ film backing is designed to deliver more consistent results and a faster cut rate. 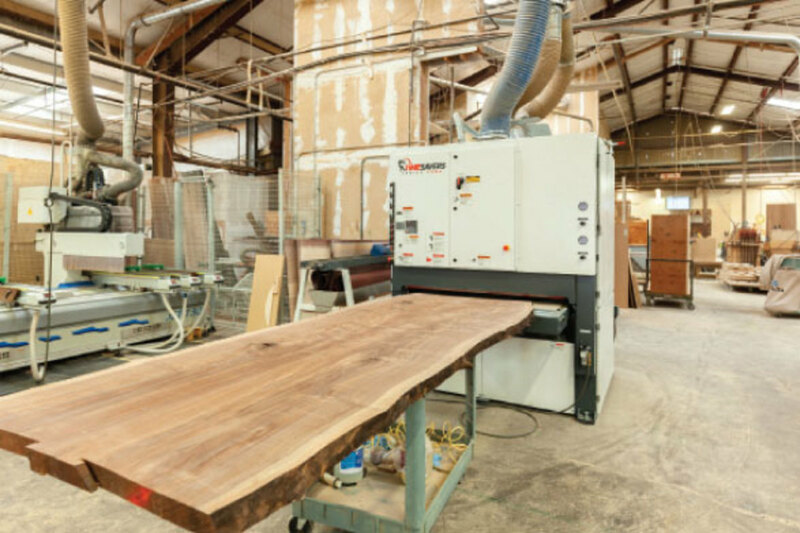 Voorwood (voorwood.com) in Anderson, Calif., makes the Turbosand rotary profile sander, and the A115 and A117 shaper/sanders along with some other cope and profile sanding machines. The company offers more than 4,000 stock profiles on heads that accept easily changed sanding strips. It also makes heads for sanding on a CNC router. Timesavers (timesaversinc.com) also offers a molding sander. The company has been providing wide belt abrasive finishing machines for more than 70 years, and this customizable sanding and de-nibbing machine has a 10” OD abrasive brush so it’s ideal for any woodworking process that involves brush sanding or veneer/lacquer sanding. And while not strictly abrasives in a woodworking sense, Eagle Superabrasives in Hickory, N.C., offers a complete range of diamond, CBN Borazon and CDX wheels for shops that sharpen in-house. This is a big category, and a woodworker often has to wade through a lot of peripheral information before zoning in on an appropriate piece of equipment. 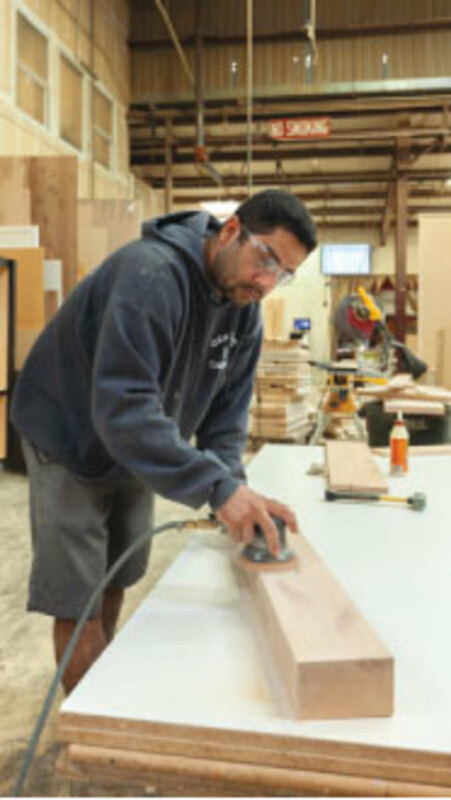 There’s a lot happening with the tools that we use for finish sanding. These include rotary, orbital, belt and inline sanders, and all of them are seeing significant technological changes. Not least of these is the power source.